U.S. Secretary of Commerce Penny Pritzker this week wrapped up an economic fact-finding mission to Poland and Turkey, where she was joined by a high-level delegation of U.S. CEOs. 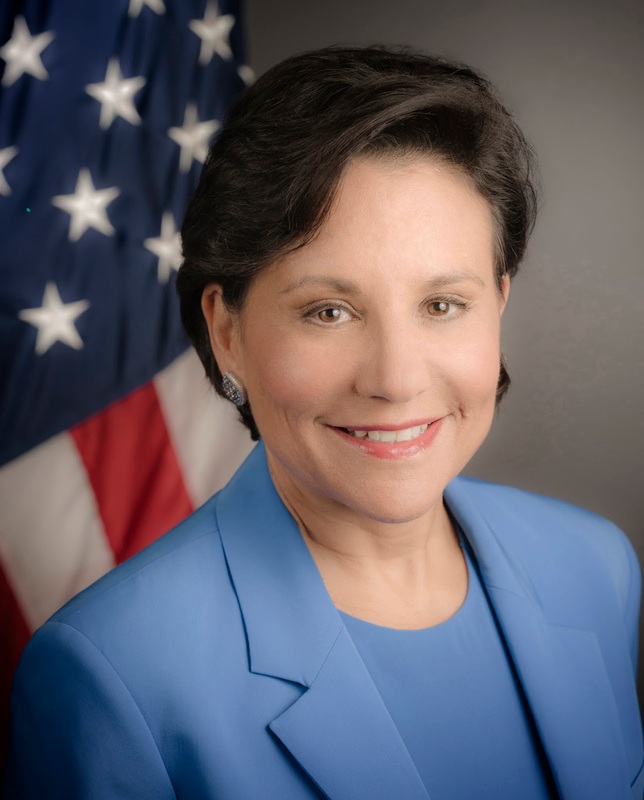 Secretary Pritzker and the business leaders, all of whom are members of the President’s Export Council (PEC), used the trip to identify opportunities to increase trade and investment between the U.S. and Poland and the U.S. and Turkey, two high-potential, fast-growing markets. Additional companies included IBM, Boeing, eBay, AES Corporation, Pfizer, Magno International, and Dow Chemical were also represented on the trip. All told, the 14 companies who joined Secretary Pritzker have combined revenues of nearly $500 billion and employ more than 1.3 million people. The trip itself represented “commercial diplomacy” in action. Beyond identifying opportunities to increase U.S. trade and investment with Poland and Turkey, this mission demonstrated this Administration’s commitment to supporting all American companies as they seek to do more business in high-priority markets and increase their exports. In addition, it was an example of how the Department of Commerce is leveraging the talents and expertise of America’s top business leaders to help deepen and strengthen our commercial ties around the world and advance our strategic policy objectives. In Poland, Secretary Pritzker and members of the PEC addressed collaborative and tangible ways to increase trade and investment between the U.S., particularly as Poland’s economy continues to grow. Poland currently has the sixth-largest and one of the fastest-growing economies in the EU, and growth is projected to continue in 2014. While bilateral trade between the U.S. and Poland has quadrupled over the past 10 years, reaching nearly $8.8 billion in 2013, there is tremendous opportunity for continued growth. One mechanism to increase trade and investment between the U.S. and Poland is the Transatlantic Trade and Investment Partnership. The U.S. considers Poland an important voice in TTIP negotiations. Once concluded, our TTIP negotiations will combine the U.S. and EU markets into a stronger transatlantic marketplace, with more than 800 million customers. Secretary Pritzker and members of the PEC met with Deputy Prime Minister and Minister of Economy Janusz Piechocinski, Foreign Minister Grzegorz Schetyna, and Minister of Defense Tomasz Siemoniak. Secretary Pritzker also joined Polish Deputy Prime Minister and Minister of Economy Janusz Piechociński in co-chairing an Executive Session of the Economic and Commercial Dialogue (ECD). The ECD is a forum created by the U.S. Department of Commerce and the Polish Ministry of Economy to work specifically on strengthening the ability of our companies and investors to do business in each other's markets. Secretary Pritzker and members of the PEC also met with Poland's Minister of Higher Education and Science and a group of Polish innovators to discuss the country's efforts to encourage innovation in their economy. The Polish government has made the promotion of innovation a top priority. Poland will be receiving a total of $106 billion in funds from the European Union by 2020. Poland plans to invest about 70 percent of those funds to promote innovation. The United States is well-positioned to serve as a partner in these efforts by sharing best practices and engaging our private sector leaders in Poland to further promote innovation. Following their visit to Warsaw, Secretary Pritzker and members of the PEC traveled to Istanbul, Turkey. While the United States and Turkey have sustained deep strategic and diplomatic ties for decades, both countries want to expand their economic and commercial relationship. Bilateral trade between the U.S. and Turkey stood at just under $20 billion in 2013. With a nation as large and dynamic as Turkey, there is real room for significant growth in trade and investment. Secretary Pritzker and the PEC members met with Turkish President Erdogan, Prime Minister Ahmet Davutoglu, Deputy Prime Minister Babacan, Minister of Economy Zeybecki, and Turkish business leaders on the trip. Secretary Pritzker reiterated the United States’ commitment to Turkey throughout her visit, but urged the government to make progress on the reforms necessary to help facilitate more commercial activity. She stressed three challenges U.S. businesses face in the Turkish market that must be addressed: greater transparency in government procurement; commercial offsets – a policy that forces companies to produce locally; and the ability to obtain Good Manufacturing Practices certification. This was the first PEC trip under the Obama Administration. PEC is the national advisory committee on international trade, established in 1973, which advises the President on policies and programs that affect U.S. trade performance, promotes export expansion, and provides a forum for discussing and resolving trade-related problems among the business, industrial, agricultural, labor and government sectors. Following this trip, the CEOs will apply their commercial expertise to produce a report for President Obama, which will recommend actions the U.S. government can take to address challenges and increase trade and investment between the U.S. and Poland, and the U.S. and Turkey.